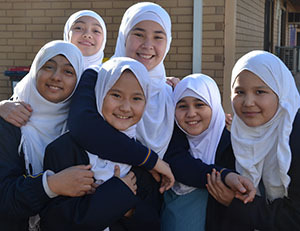 Located in Elizabeth, South Australia, Playford College is a new Islamic Independent co-educational school that has a focus on Shia Muslim Australians but is open to all. Playford opened in February 2017. It has 103 students with 145 booked in for 2018. 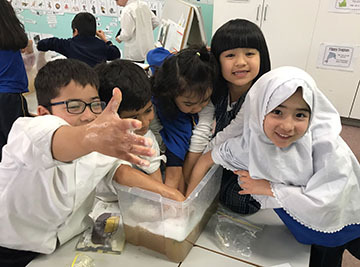 Playford’s approach is to provide its children with every opportunity to access and succeed in the Australian curriculum, while at the same time, offering support to the families in respect to their faith. They so far have one non-Muslim family who are very happy with the school, and the school community hopes to see this number increase. Can you tell us how Playford College came about? Before Playford College, there were only two schools catering for Shia Australians, both in Sydney. 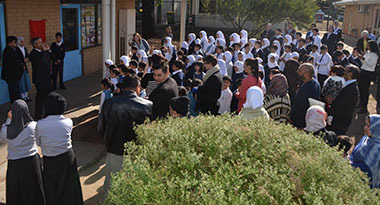 Education is so important to Shia families that many were relocating from South Australian to Sydney to access them. Shia families have a diverse cultural background, and by coming together as Shia gained greater traction than they would have as separate groups. With support and direction from one of those Sydney schools, that traction eventually resulted in the procurement of an old vacant government school site in the northern part of Adelaide… and Playford College was born. Muslims are taught to love their country and our Sheikh is quick to point out that their country is Australia, and that they should love their new home. So, the school was named in honour of its local council area – the City of Playford. Then followed the exercise of finding a Principal to start up the school; take it through the school registration process; interview, enrol and employ, all in Term 4 of 2016; and open the school in January 2017. We did it! We started with 4 classes and 78 students and by fourth term had grown to 5 classes and 106 students. What are your school’s greatest strengths? We opened in 2017 with 78 students from 26 different schools. We pride ourselves on already being a community, on being a family. To us, this is an integral feature and strength of the school, encapsulated by one word – respect. Respect for God, for self, for others and for property. What challenges has the school faced? The greatest challenge was some initial hesitancy within the community. Understandably, only the bravest will commit to a new school. Now, word is getting out that not only will we still be here in 2018, but we are absolutely thriving. The community has embraced our model of the Principal, teaching and support staff being almost exclusively secular, or western. 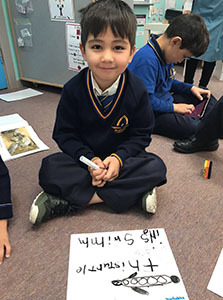 This has mostly to do with the need to have qualified registered staff in South Australia, and our view that proficiency in English is essential if our students are to thrive. We expect over time, as members of the community gain Australian qualifications, we will see a significant shift in the demographic of our staff. 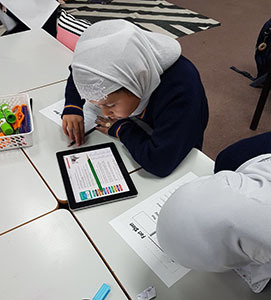 Although our community are bound together by their Shia faith, the school has also been challenged by their cultural differences. Our families have several first languages, including Arabic, Persian, Urdu and Hazaragi – many families cannot communicate with each other as a result, unless in English, and this is often in short supply. We also need to take into consideration the huge upheaval in all their home countries, including such places as Iraq, Afghanistan and Pakistan. Our families left their homelands with trust an eroded commodity. Building the trust capacity of the College will be a challenge for some time. What are some of the misconceptions you think people have about Independent schools? Having worked in and led Independent schools for thirty years, I can quickly say that many of the misconceptions about Independent schools revolve around snobbery and privilege, yet my experience has been anything but. Our SES score is amongst the lowest in South Australia, and if you look at results in our post code on the My School website you may be underwhelmed. 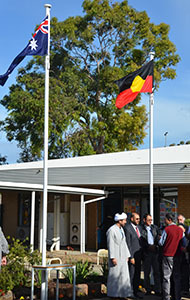 Playford College is an Independent school. Our fees are significantly under $2,000 a year, but the majority of our community are on a health care card or a pension, so fees are more likely under a thousand a year. This is not a school of snobbery and privilege, but like so many other Independent schools I know, this is a school that is about choice, it’s about a relationship between home and school, it’s about committed staff giving kids and their families a hand up. Can you share a recent school achievement that you are particularly proud of? We recently held our first Hajj Camp at school. Hajj is an experience every Muslim is encouraged to undertake at least once in their lifetime. 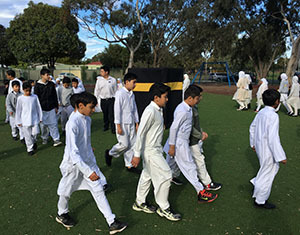 The camp, held at school, taught students about the rituals and reasons of why Hajj is a key focus for them. It was the first time for some to sleep away from home, and it was the first Hajj Camp for all of them, and I was immensely proud of the way in which they stuck to task and were rewarded for their efforts. Our school community was greatly heartened by the success of this event and told us as much. The students loved the activities and sharing meals cooked by a parent made for a memorable experience, one that will be repeated next year. What is an initiative you would like to implement in your school? While we are still in our first year, everything seems to be moving along quickly. As we build our critical mass we will be able to have more ‘hands on deck’ and be able to bring more things on line. For example, introducing secondary years, specialist teachers and specialist teaching areas, as well as restoring various parts of the old school infrastructure and developing a master plan. I would like to see Playford College start up a community radio station – this could be such a powerful medium to share with their community, and to showcase the amazing things our students are capable of.